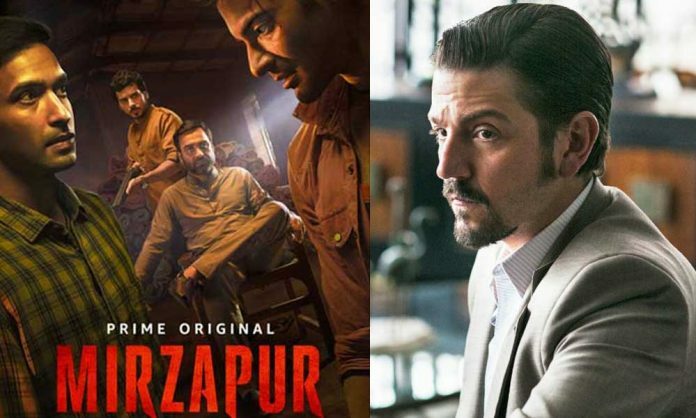 Home BOLLYWOOD Narcos Makers Upset With Mirzapur Stealing Its Thunder? November is all set to witness the first clash of the OTT platform as the international series Narcos and much awaited Mirzapur release on the same day. On this 16th November, the fourth season of Narcos and the first season of Mirzapur will start streaming digitally heading for the biggest clash of the digital medium, upsetting the makers of the international series as Mirzapur comes with the prime entity of their brand. Unlike films, digital series have no pressure of box office and are not bound to Fridays, thereby, releasing anytime. However, the digital giants have headed towards a clash making the makers of Narcos uncomfortable. Narcos is eagerly awaited as the series takes the fourth season takes forward the story of the drug cartels and Mirzapur has created immense anticipation owing to the raw and gripping content, which has irked the makers of Narcos. Narcos is the story of drug kingpin Pablo Escobar, who became a billionaire through the production and distribution of cocaine brood over the region of Colombia as Escobar develops his empire in the region turning out be the drug lord. Mirzapur also revolves around drugs, guns and the politics of power in the land of power-hungry Mirzapur. The first teaser introduced us to the world of Mirzapur that thrives on the business of guns and drugs under the disguise of carpet market, ruled by Kaleen Bhaiyya singlehandedly. Previous articlePooja Hegde’s New Fitness Mantra! Next articleWhitney Wolfe Herd And Priyanka Chopra Celebrate Bumble Coming To India!